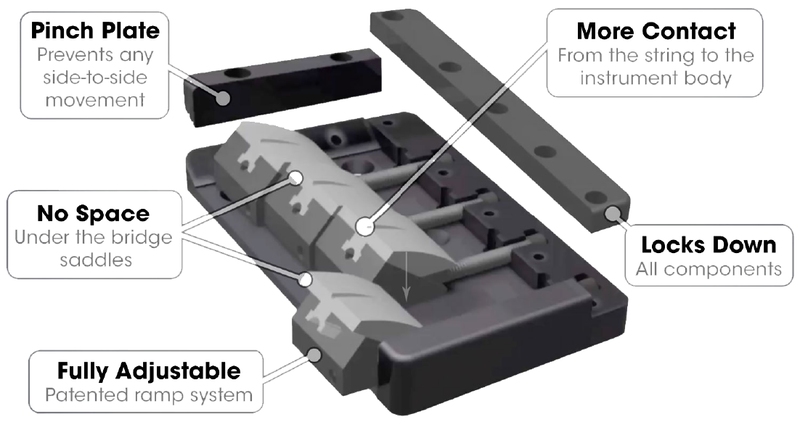 The KSM Foundation™ Bass Bridge was designed to achieve the benefits of a single solid piece, but also to be fully adjustable for each individual player. The bridge utilizes a patented ramp system that allows for precise adjustments and maximizes the transfer of string-to-body vibrations. This improved string-to-body contact gives the instrument exceptional brightness and clarity. 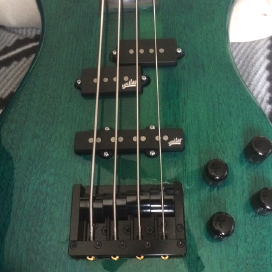 The KSM Foundation™ Bass Bridge is designed to be installed on many new or used bass guitar brands, such as: Fender, Ibanez, Spector, BC Rich, Jackson and Tune Guitar Technology. The bridge is also favored by builders and luthiers that require the best style and tone for their instruments. Please call or email if you have any questions regarding any of our products. 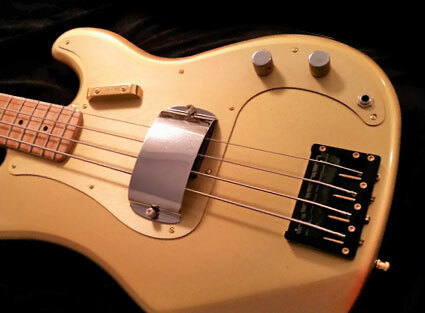 If you’re not completely satisfied with your Foundation Bass Bridge you can return it. No questions, no hassle, no problems. 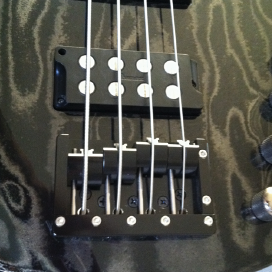 The KSM Foundation™ Bass Bridge is guaranteed to be free from manufacturing defects in materials and craftsmanship. IMPROVE YOUR SUSTAIN & TONE. * The size of the allen wrenches used for bridge adjustments are 1.5 metric for the height adjustment, and 2.5 metric for the lock down and intonation adjustments. 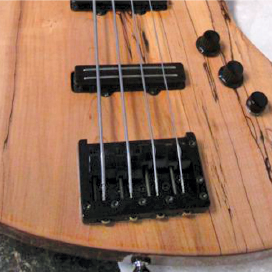 UNIQUE DESIGN FEATURES OF THE KSM FOUNDATION BASS BRIDGE. WE EVEN HAVE INSTALLATION TEMPLATES FOR YA. 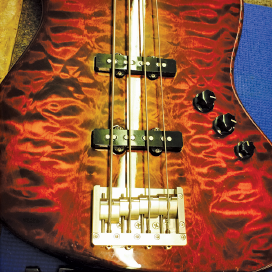 GET A ROCK SOLID BASS BRIDGE. I thought the difference would be subtle compared to a stock "classic" bridge. I was wrong! Instantly noticeable, notes have more clarity and far bettersustain. This combined with locking in my intonation and action. I’m sold.